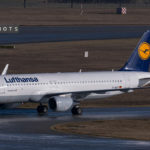 Airbus delivered to Lufthansa their 2nd A320neo (New Engine Option) on March 31 and it will immediately be put into service from its base in Frankfurt today, April 1, 2016. This delivery now allows for the ‘NEO’ to be deployed between Frankfurt and Dusseldorf. The tail number for this bird is D-AINB. The 2 ‘NEOS’ in the fleet now serve Frankfurt, Hamburg, Dusseldorf, and Munich. LH has 116 A32x NEOs coming to the fleet over the coming years. 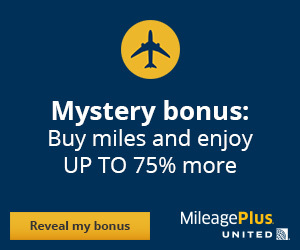 45 of of them will be A321s while the rest of them will be A320s. Five A320s will delivered to LH in 2016 and will all be based in Frankfurt. These airplanes are destined to replace the current and less efficient A320 and A321s in the fleet. 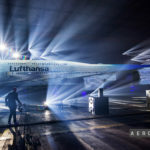 As part of a scheduled conference to discuss their 2015 operating results, Lufthansa’s CEO Carsten Spohr has suggested that Lufthansa will not accept additional A320neo until a known engine bug is resolved. Earlier this year, LH took delivery of their first A320neo and put it into service even as a relatively minor issue existed with the Pratt and Whitney that is available as an option on the aircraft. The issue itself is relatively minor. In order for the engine to reach operating temperature and tolerances, it must first warm up for approximately 5 minutes before throttle can be applied so that the aircraft can move under its own power. This creates nothing more than a minor inconvenience at the gate at departure. Pratt and Whitney is working on a solution and they expect engines delivered beginning this June to no longer have this issue and will retrofit existing engines to correct the issue. In the mean time, LH’s decision is to delay the 4 other A320neo aircraft set to be delivered this year until the issue is resolved. The one A320neo that is in service is operating as expecting, with the engines experiencing 99% reliability and the aircraft is delivering a 20% decrease in operating costs compared to the previous generation of A320 aircraft. Because of the engine issue, LH is only operating its sole A320neo primarily between Frankfurt and Hamburg which by no coincidence are Lufthansa’s 2 largest maintenance bases so that if any work needs to be done on the new aircraft, it is never far from a mechanic. Lufthansa stated that this was a major factor in delaying the new A320s. Had LH continued to take delivery of more A320neo aircraft with this engine issue, they would have been forced to deploy engineers at all of the A320neo destinations in the event repairs were needed. No specific date was given for the delivery of the next A320neo to Lufthansa.